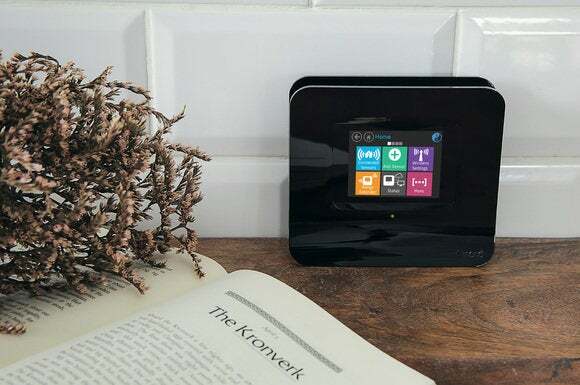 Securifi announced today that its latest connected-home, mesh-network router, the Almond 3 is now available for pre-order at a $30 discount from its final retail price of $150 (you can pre-order at Amazon). First shown at CES 2016 in January, the company expects to ship the router sometime in June. 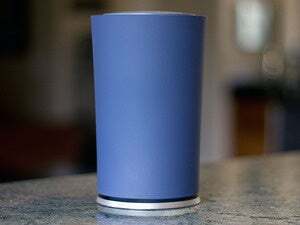 In addition to being an 802.11ac Wi-Fi router, the Almond 3 is outfitted with a ZigBee radio and will be able to function as a connected-home hub. If your smart lighting, door locks, motion sensors, and other devices operate on some other protocol, Securifi offers a $20 Z-Wave USB dongle; the company expects to offer a Bluetooth dongle sometime in Q4. What’s more, the new router can also operate in conjunction with Amazon’s Alexa digital voice assistant (you’ll also need to have an Amazon Echo, Dot, or Tap). Effective today, this last feature has also been added to two of Securifi’s earlier routers, the Almond+ and the Almond 2015. A software update to Securifi’s Almond app enables users to create and edit schedules and automation rules from your mobile device. These automation rules are similar to IFTTT recipes, but can be much more complex. Another feature generates a push notification each time a new device joins your Wi-Fi network, giving you an opportunity to block devices you don’t recognize or establish access rules governing what that device can and can’t do while it’s on your network. 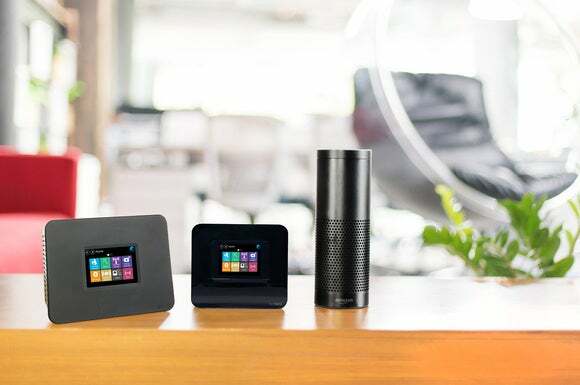 An update available today enables Securifi's Almond routers to work with voice commands via Amazon's Alexa digital voice assistant. Like the Eero (available now) and Luna (supposedly available in June) Wi-Fi routers, the Almond 3 will support mesh networking to help reduce the number of dead spots in larger homes (or homes with dense walls or other barriers to wireless signals). It can be pre-ordered in a three pack for $300, a $100 discount over the shipping price. Why this matters: Simply being the fastest router on the market is no longer enough, manufacturers need to offer new and different features to convince consumers to upgrade or switch. And as mobile devices and streaming boxes multiply like rabbits, they’re exposing the limitations of deploying a single router and hoping its signal will be able to blanket the home. That’s where the mesh-networking technology that Securifi, Eero, and Luna are deploying could prove vital. But the Almond 3 has one feature those routers don’t: an integrated connected-home hub. We’re looking forward to getting our hands on this one.